At the moment, we have 96 trails posted in South Jersey, which is a lot! The saying goes that people vote with their feet (drumroll crash! ), but which trails have the most views this year? 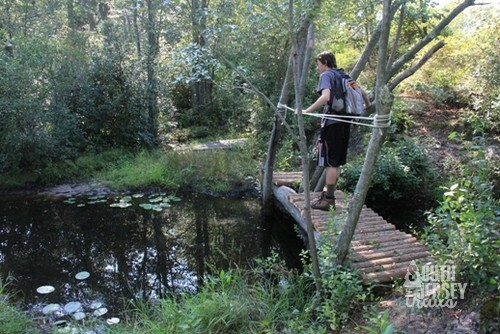 We celebrate 2 1/2 years as a blog by taking this completely unscientific look at the most popular hiking trails in South Jersey as chosen purely on page hits in 2015 on this terrible, terrible blog! #10 – Mount Laurel State Park – Mt Laurel, NJ – Our list starts with a mystery – why in the world have hundreds of people looked at this hike? It’s not much of a hike at all. 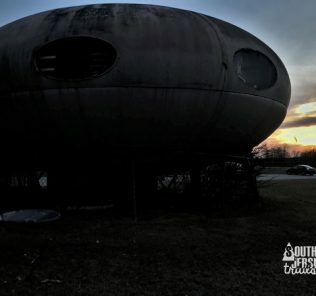 The state park barely exists, and isn’t even listed on any list of New Jersey State Parks I’ve ever seen, official or unofficial. Is there some other Mount Laurel that’s incredibly popular somewhere else and people keep typing the wrong state into Google? Have I somehow tapped into One Direction Fan Site searches? I don’t get it! 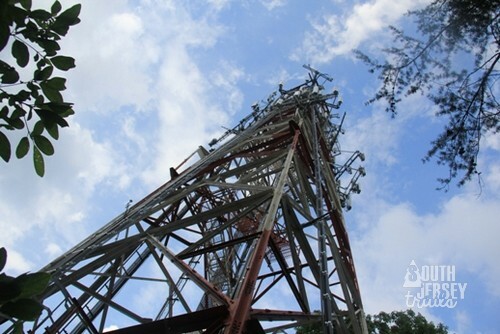 What is here is a 0.6 mile hike on not-very-well-marked trails that mostly go around a radio tower. 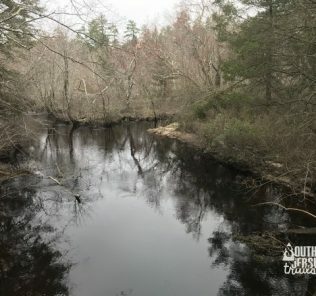 #9 – Batona Trail Reroute – The Parker Preserve – Woodland Township, NJ – Back in March, I listed this as my favorite hike in South Jersey, because its ridiculously awesome! However, it fades to #9 when we look at hits. My thought is that the location (in the middle of the Pine Barrens) and time commitment (getting there, then it’s a long hike, then it’s either a long hike back or you had to work out a shuttle situation ahead of time) have hurt the popularity of this one. Still, seriously my favorite hike in South Jersey – tiny bridges, walks along the edges of bogs, a swamp hop, and an end at Apple Pie Hill. #8 – Rancocas State Park (South of the creek) – Hainsport, NJ – Another one that falls from my list, where have it has the forth best trail that I’ve done. Still, anything in the top 10 is awesome, and I’m glad that people are getting out there to enjoy this isolated trail system (8.2 miles), whether its looking for nature or the remains of the civilization that once thrived by the banks of Rancocas Creek. Miles and miles of trails where folks don’t tend to head (I saw two people in the three hours I was there), remains of old homesteads if you keep a close watch, and beautiful Rancocas Creek. 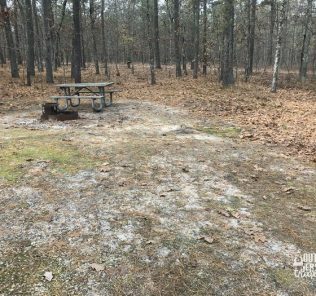 #7 – Batona Trail (Carranza Memorial to Apple Pie Hill) – Tabernacle, NJ – This one doesn’t surprise me at all that it made the list. This hike is hugely popular. And with a swamp, pitch pines, a memorial to a fallen Mexican hero, and a grand finale at Apple Pie Hill (where, on a clear day, you can see Philly and Atlantic City), who wouldn’t want to do this hike? And at 8.2 miles round trip, it’s a good workout too! 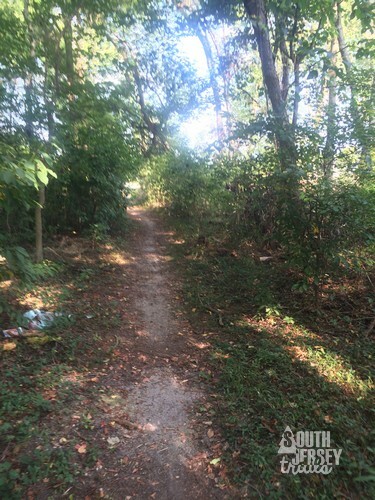 #6 – Wenonah Woods (Trails East of tracks) – Wenonah, NJ – This one is several spots higher than I have it on my personal top 10, but with more time to take in all the trails of this system, I wish I’d placed it higher in my rankings. 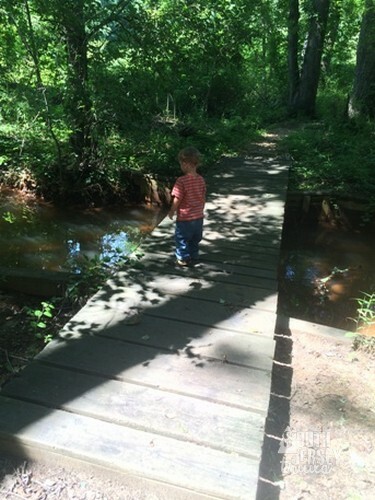 These neat little trails, filled with bridges and chances to spot birds, deer, and beaver, hiking the trails at Wenonah is never anything other than a great idea. The west side of the tracks is also can’t miss… in all there are six miles of trails in a town only 1 square mile, and every mile of trail is awesome. #5 – Historic Smithville Trails – Easthampton, NJ – The attraction of this one is easy… part of the trail floats on the lake. With historical factory ruins to look at, some beautiful nature, and lots of well developed trails (4.1 miles), the popularity of this one is easy to figure out. Also, Mr. Smith (who owned the place) was pulled around by a team of moose. Nothing to do with the hike, just a fun fact to share at your next dinner party. 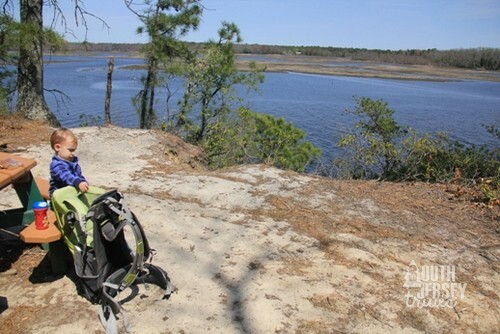 #4 – Maurice River Bluffs Preserve – Millville, NJ – While this was listed as the second best trail in South Jersey by me, it’s #4 on the list. With stunning overlooks of the Maurice River, roller coaster style leg burn sections, and a chance to see tons of birds, it’s no wonder so many people check this one out. 5 miles of trails! 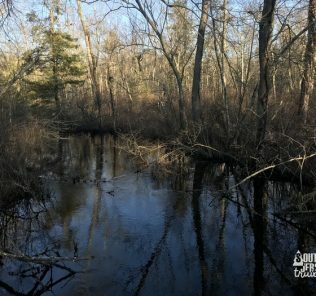 #3 – Blue Hole Trail – Winslow, NJ – Popular South Jersey legend + pain in the neck to find trailhead = one of our most viewed trails. I can’t blame folks, we got lost when trying to write this one up… and I’d been there before! 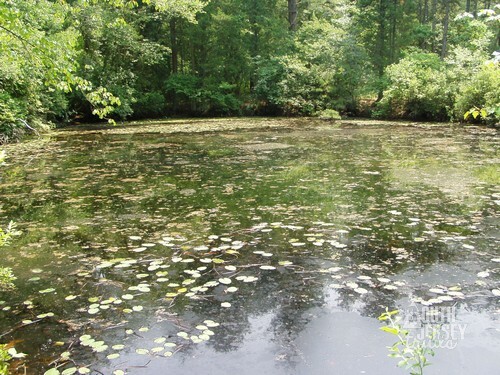 When you get there, there is a bottomless pit of crystal clear, ice cold water that houses the Jersey Devil, or just a muddy puddle, you decide (I opt for the first one). 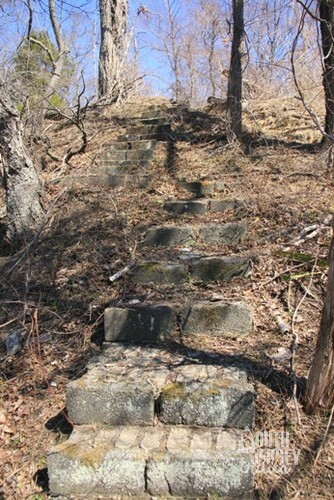 Also the highest ranking trail in hits not to appear on our Top 10 Trails in South Jersey list. 1.6 miles round trip. #1 – Blueberry Hill Trails (Gibbsboro Greenway) – Gibbsboro, NJ – Easily capturing the top spot (with, until recently, twice as many hits as any other trail I’ve covered) is the Red Trail in Gibbsboro, better known as the Blueberry Hill Trail. In the middle of heavily populated Camden County, amazing view of Philadelphia, it’s no wonder at all this one clocks in at #1 by a long shot. That rounds out our Top 10 Trails in terms of hits (2015)! I will now continue to ignore math as much as possible for someone who has to teach it for one period a day. Good ol’ elementary school teaching. 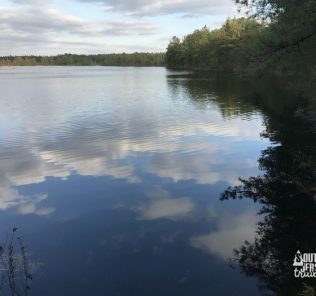 Burlington County, Camden County, County Park, Cumberland County, Gloucester County, Hiking, Outdoors., pine barrens, South Jersey, State Park, Town Park, Wildlife. Trails we should check out. Hi there, i don’t like to hike alone, are there any hiking clubs in the area that I can join?? thank you for your response. By the way, I love your Blog, the pictures are awesome. 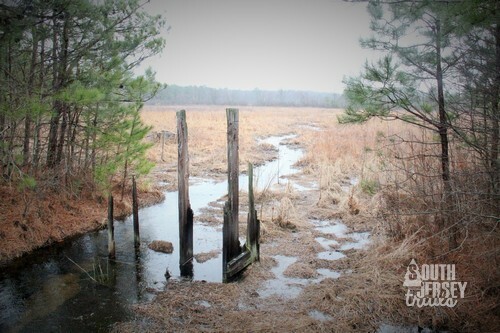 I plan to visit the Maurice River Bluff Preserve soon. I didn’t know it exsisted until your Blog. Thank you so much. 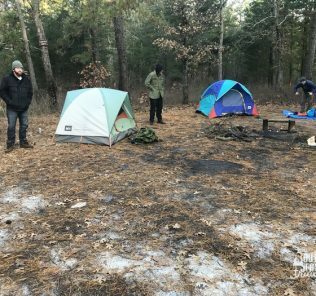 You can also check out some places that provide group hikes (best to get on their mailing lists) – South Jersey Land and Water Trust, Wharton State Forest, New Jersey Conservation Foundation, Whitesbog Village, and Pinelands Preservation Alliance all offer group hikes at times. I’m sure there are more out there that I’m not thinking of, anyone out there have any more to add? Thank you somuch for the info, i will reach out to each, except Philly, too far! 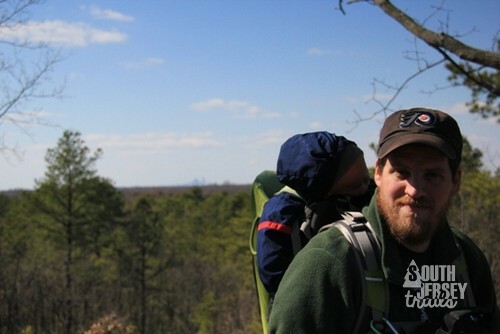 I recommend the Outdoor Discovery School at LLBean in the Promenade in Marlton. 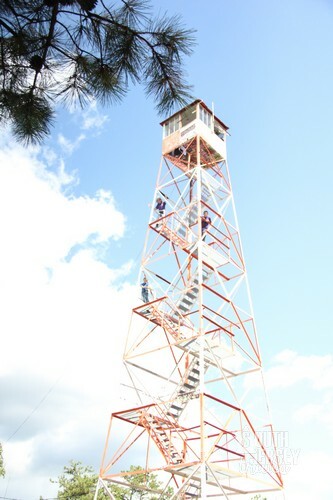 They do a variety of free hikes as well as many seminars on the outdoors. You can also participate in their weekend classes in. Kayaking, stand up paddling and more! By the way, they have a free seminar on their favorite local hikes on June 13th at 7pm. Register on LLBean.com/Marlton. I was wondering if any of these trails are wheelchair accessible or accessible to a certain point of the trail? My daughter drives a motorized wheelchair that is pretty sturdy but too heavy to lift even slightly and would love to find some places that she could come hiking with us. I suspect that Smithville may also be wheelchair accessible in parts. I would call the park (609-265-5858) and check with them. Another one that’s rated as ADA accessible is the Batsto Lake Trail (Red) out at Batsto Village near Hammonton. The thin gravel make it a very easy, very firm, very level trail. It’s not in the best of shape at the moment, but one of my Scouts is supposed to resurface it next month. Let me put this out on the Facebook group as well and see if I can get some other folk’s suggestions for you! Fred – There is a trail in Brendan Byrne State Park at Pakim Pond that is wheelchair accessible. Wayne – There is a website called Trailink,com that that has a list of handicapped trails throughout NJ. Their list includes Cooper River Park Lake loop more than three miles long, but nearby Haddon Lake and Silver Lake have shorter routes. All are paved. Silver Lake in Voorhees is another paved loop. Rob – D&R Canal, Schyulkill River Trail, Perkiomen Trail, Pennypack Park, Barnegat Branch Trail are all mostly paved. Great information, looking forward to hiking a few of these soon! In regards to the Black Run Preserve in Evesham, they just added/marked out a 5k trail. It’s truly exceptional. Trail varies from single track to wide graded, from flat terrain to rolling hills, and has savannahs, upland forest and wetlands Highly recommend. That’s great, thanks Mike! I’ve done just about every trail there, but I’ll have to check the 5K course out too! Just a correction–it’s Eastampton not East Hampton. There is no H in Eastampton. Common error. Thanks! I usually catch myself with East and Westampton, but it still gets me once in a while. 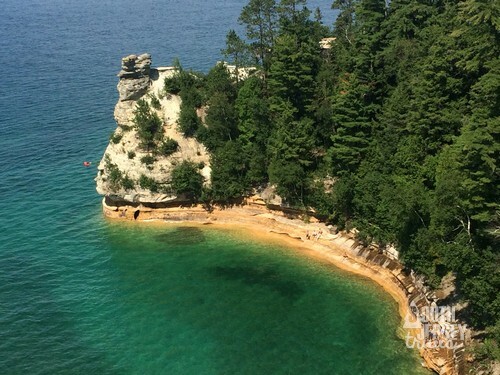 Did the Maurice River Bluffs last Saturday (10/17/15) and had a great time. We walked well over 5 miles. We did every trail. Some of it was very challenging for this first time hiker but we survived. Really didn’t see any wildlife other than a few birds. I guess it wasn’t the right time of the year. The only downside is on the weekends the Millville Motorsports is active and we could hear the cars all day long which definitely took away from the serene walk that we would have had instead. We still enjoyed ourselves and would do it again. Re: Maurice River Bluff, I went there one day just to check it out. Looks amazing, but I was alone and went no further. Does anyone know if they sponsor any guided hikes?? If no one does, they should! The Nature Conservancy (who owns the tract) does do activities. I don’t see any coming up at Maurice River Preserve, but its worth keeping an eye on! Reblogged this on Bens Blog.